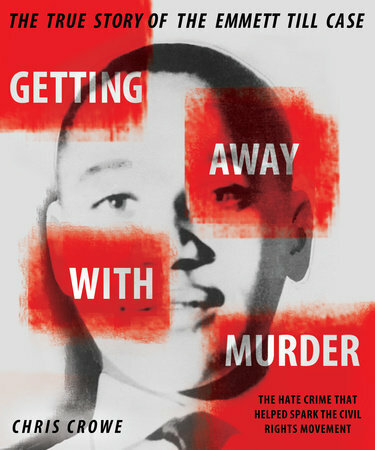 Revised and updated with new information, this Jane Adams award winner is an in-depth examination of the Emmett Till murder case, a catalyst of the Civil Rights Movement. The kidnapping and violent murder of fourteen-year-old Emmett Till in 1955 was and is a uniquely American tragedy. Till, a black teenager from Chicago, was visiting family in a small town in Mississippi, when he allegedly whistled at a white woman. Three days later, his brutally beaten body was found floating in the Tallahatchie River. In clear, vivid detail Chris Crowe investigates the before-and-aftermath of Till’s murder, as well as the dramatic trial and speedy acquittal of his white murderers, situating both in the context of the nascent Civil Rights Movement. Newly reissued with a new chapter of additional material–including recently uncovered details about Till’s accuser’s testimony–this book grants eye-opening insight to the legacy of Emmett Till.